Since the beginning of the year, students have been itching to get into our library makerspace to use the many tools housed there. As the librarian, I try to weave as many of these maker tools into curriculum as I can, but the truth is that it’s just not fast enough for our students. 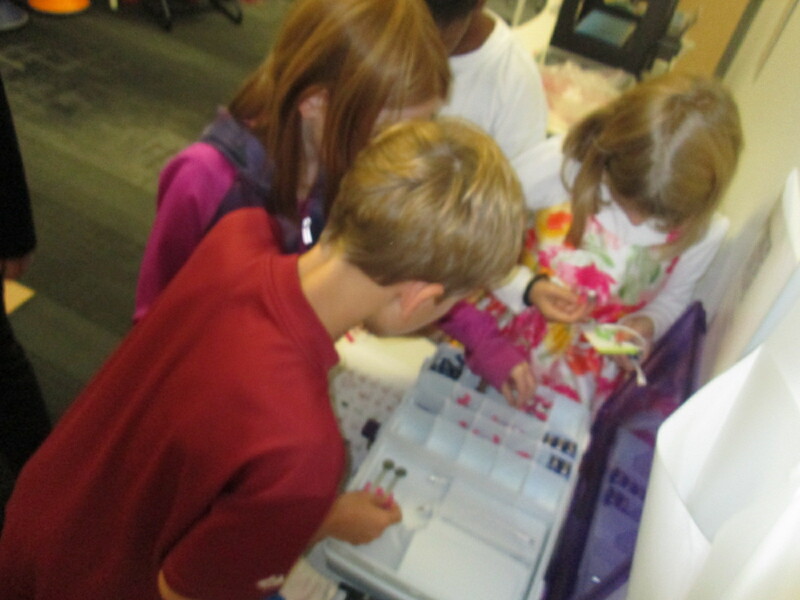 Telling them, “I’m waiting to find the right piece of the curriculum to use the littlebits with”, is not acceptable. They want to tinker and explore and see how things work. Recognizing this, I had to find a way to give them more access. I can’t say that I’ve found the perfect solution, but I’m working on it. I’m blessed to have the University of Georgia right next to our school. I’m even more blessed that the College of Education is within walking distance and Gretchen Thomas teaches in the instructional technology department. Gretchen is an educator who truly gets the realities and challenges of school. She wants her students to have experiences with what instructional technology really looks like in a school rather than guess about it in the college setting. She and I have been brainstorming about challenges that I face in the library and the makerspace has come up a lot in our conversations. We’re trying to create a plan to have adult support in the makerspace on a regular basis for students to explore during their recess time. This alternative to going outside isn’t the only solution, but it’s one that many of our students are willing to do in order to get their hands on the makerspace tools. Even though we don’t have details worked out for Gretchen’s students to be in the makerspace, she has volunteered her own time once per week to come in and help. For the past 3 weeks, we have offered makerspace recess to our 4th graders. A whole range of students have shown up. I was very excited to see such a mix of boys and girls as well as several other kinds of diversity within the group as well. 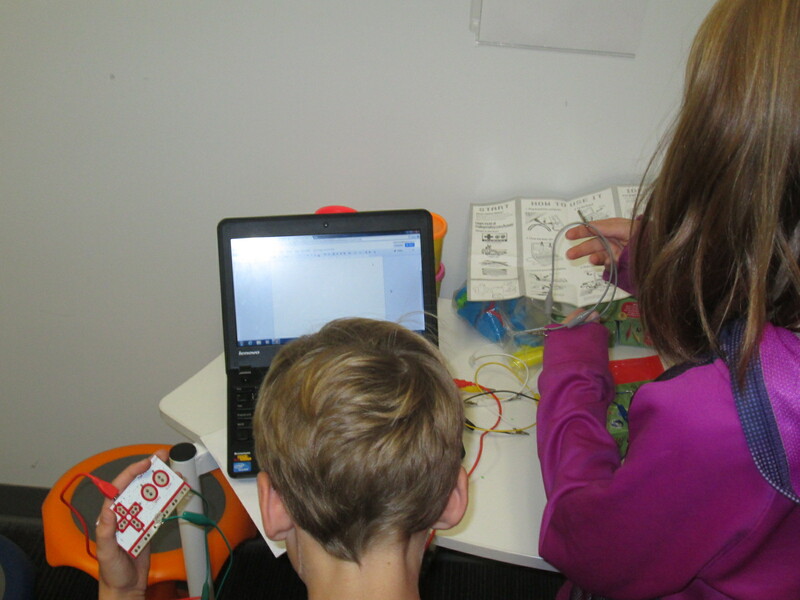 During the 1st recess, Gretchen and I quickly showed the tools in the space: Sphero, littlebits, and MaKey MaKey. Students chose a starting place and jumped in. 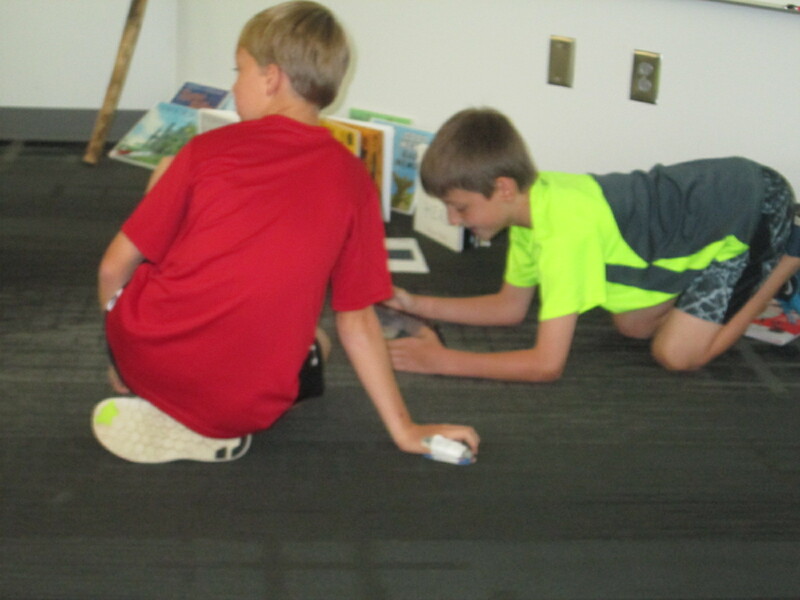 It didn’t take long until the Sphero was being driven around the library, being programmed to drive and jump over a ramp of books, and a maze of books, shoes, and legs was being created on the floor. 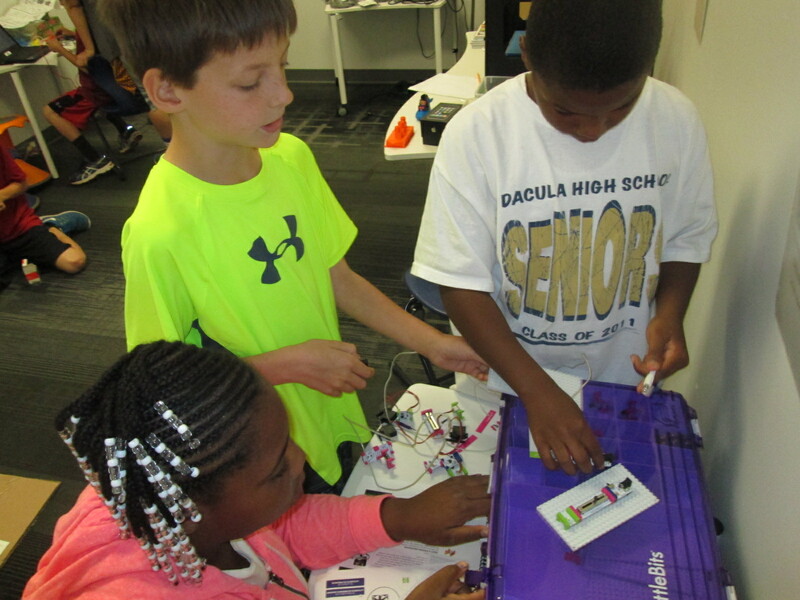 Students used the littlebits cards to snap together several suggested circuits, but it didn’t take long for students to start snapping random bits together to see what would happen. 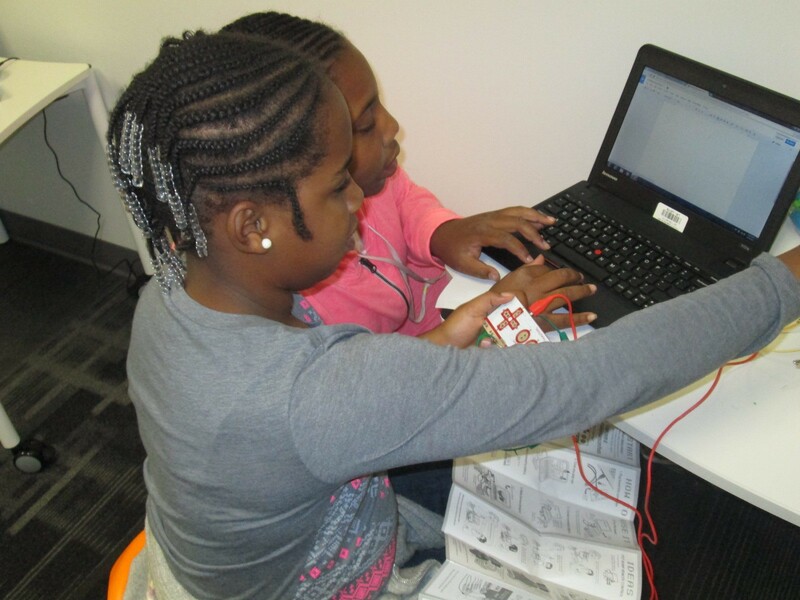 Students at the MaKey MaKey got out balls of Playdoh and started plugging in alligator clips. Gretchen showed them how they could type using the balls of Playdoh, and they also explored how to play the piano on the MaKey MaKey site. This alternative recess is certainly supporting my library goal of allowing students to dream, tinker, create, and share. This free time to dream and tinker will only strengthen the curriculum work we do within the makerspace in grade level projects. At some point, I’m sure we’ll create some structure to our alternative recess, but for now it just seems right to explore. 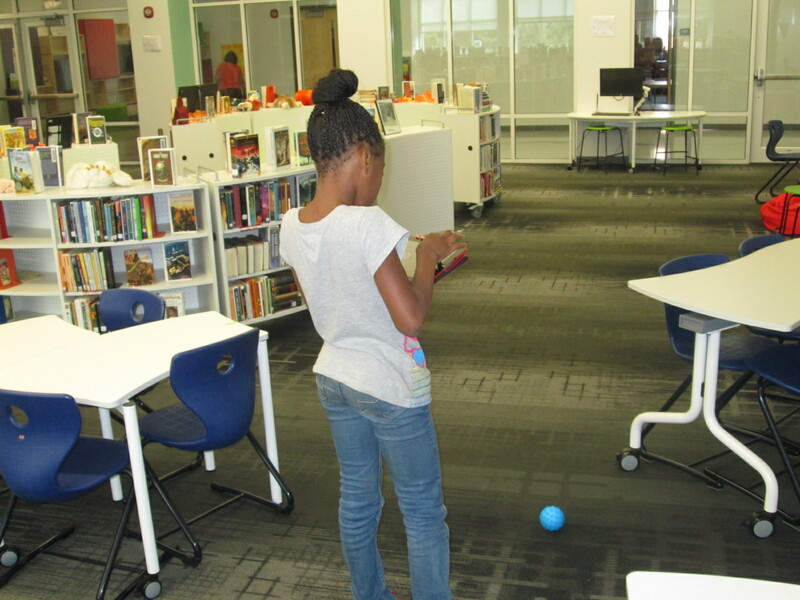 This entry was posted in makerspace and tagged coding, library as makerspace, littlebits, makered, makerspace, makey makey, programming, robotics, sphero, tinkering.